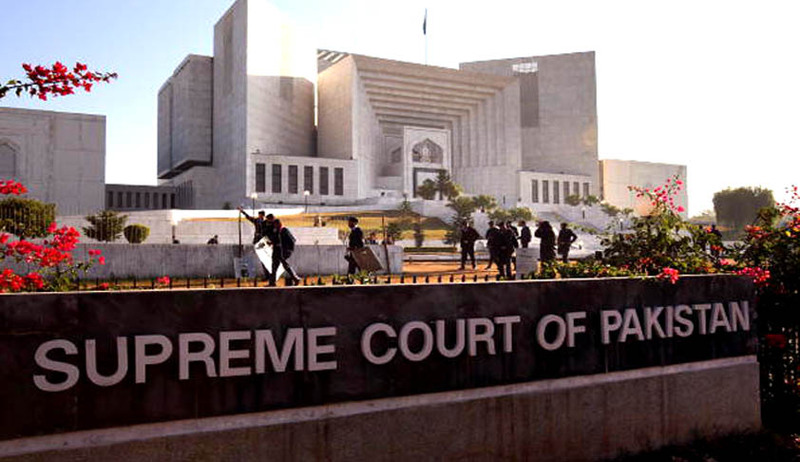 The Supreme Court of Pakistan on Thursday issued some important directives to Pakistan Electronic Media Regulatory Authority (PEMRA) to regulate ‘media trial’ in sub-judice matters. A three-judge bench headed by Chief Justice of Pakistan Mian Saqib Nisar said that any discussion on a matter which is sub-judice may be aired, but only to the extent that it is to provide information to the public which is objective in nature and not subjective, and no content, including commentary, opinions or suggestions about the potential fate of such sub-judice matter which tends to prejudice the determination by a court, tribunal, etc., shall be aired. Suo motu proceedings were initiated by the court against ARY News anchor Arshad Sharif for his comments in a talk show ‘Power Play’, which were discussing court proceedings regarding the inquiry by FIA against former President Asif Ali Zardari. Drawing assumptions, inferences and conclusions from evidence or the documents filed in a case and stepping into the shoes of a judge on broadcasted programmes may not only convict the accused in the eyes of the public regardless of whether he is ultimately exonerated by a Court, but certain comments or opinions may be voiced which could potentially instill bias and prejudice in the minds of the judges, particularly to those who are dealing with the sub judice matter, thereby violating the fundamental rights under Articles 4 and 10A of the Constitution of the persons involved in such matter, the bench observed. The court added that where the fate of sub-judice matters is being decided on public forums, not only the minds of the public are being influenced, but also potentially the minds of the judges seized of the sub-judice matter, and lawyers and investigators, etc. involved in such matter, this would obviously tend to prejudice the sub-judice matter. The court also observed that law in India regarding protection of the right to fair trial and protection from prejudicial comments with regards to sub-judice matters, in some ways, is similar to the law in Pakistan. The bench also quoted judgments of Indian Supreme Court and some high courts in this regard. The Code of Conduct ensures that the freedom of speech and the right to information (Articles 19 and 19A of the Constitution) are protected, and at the same time provide that the discussion of sub judice matters must be conducted in a manner which does not negatively affect another person’s fundamental right to be dealt with in accordance with the law (Article 4 of the Constitution) and the right to fair trial and due process (Article 10A of the Constitution). If any licensee is found to have violated or failed to observe the Code of Conduct in its true letter and spirit, particularly Clause 4 of thereof, and/or Articles 4, 10A and 204 of the Constitution, strict and immediate action should be taken against such licensee in accordance with Section 33 of the Ordinance. The Supreme Court or any High Court retains the power to take cognizance of the matter and shall exercise its powers under Article 204 ibid where such Court is of the opinion that it is appropriate in the facts and circumstances of the case for it to do so. The court also accepted the unconditional and unqualified apology tendered by the news anchor and warned him to be ‘extremely careful in the future’.